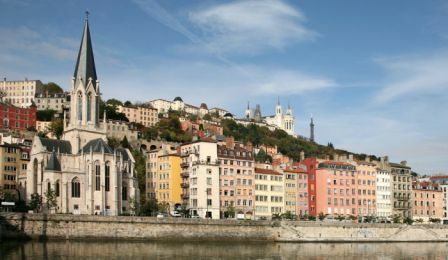 The 2017 International Fidex User Meeting will be held on September 15 and 16 at the Mama Shelter Hotel in Lyon, France (http://www.mamashelter.com/en/lyon/ ). Here is the link for room booking with conference discount. This Fidex User Meeting is our third conference after 2015 in Pleasanton, CA and 2016 in Prague, CZ, and our fourth get-together including a 2013 workshop. The conference is for those interested in veterinary cone beam CT, in particular using the Fidex machine. While the name of the conference is User Meeting, attendees do not have to have access to a Fidex scanner, but have interest in the clinical application of the instrument and its technology. As the clinical use of Fidex has grown a great deal in the past years due to a growing number of users and technical improvements, it seems useful to report to all on standard and special applications in the veterinary imaging field. There will be a focus on iodine contrast scanning to better image soft tissue, sprinkled with the latest engineering implementations designed to cover more indications, and make it easier for the operator to obtain diagnostic quality results. A highlight will be a colloquium held by two renowned veterinary radiologists. Plenty to learn, meet colleagues, and start discussions by presenting a case. This is also a Call for Papers. Much of day 2 of the conference will be dedicated to case presentations. Please contact the scientific committee directly at the addresses below. Registration: kindly register with the Organizing Committee through lyonfidex2017@gmail.com. The registration fee for regular attendees is €200 to help with financing the conference. Spouses are free and welcome to all presentations and events. Technicians may register at €100 per attendee. And please note: presenters of case studies will attend free of charge. The Conference will start on Friday, September 15, 2017 at 8:00 AM, and close on Saturday, September 16, at 5 PM. Lectures should be submitted by July 1, 2016 (see below); case presentations should be submitted by August 15, 2017. Conference language will be English. Hotel confirmation are possible until July 14, 2017 in order to obtain a discount (see above). When do we need the expertise of the radiologist? 10:00 - 10:30 The Bellac experience: Radiography of the appendicular skeleton. 10:30 - 11:00 The Boos experience (Vedrine): How Fidex helps to develop our surgical activity.